Media captionWhy has there been a measles outbreak in Europe? In the US, the number of children being exempted from immunisation for religious or philosophical reasons is also rising, research published in June found. What's behind the 'anti-vax' movement? While a majority of Americans believed vaccines were safe and effective, looking at Twitter gave a different impression and suggested that there was a lot of debate about the issue, the disinformation study, which was published in the American Journal of Public Health, said. "A significant portion of the online discourse about vaccines may be generated by malicious actors with a range of hidden agendas," said David Broniatowski from George Washington University. The researchers reviewed more than 250 tweets about vaccination from accounts linked to the St Petersburg-based Internet Research Agency (IRA). In February the agency was named in a US indictment over alleged election meddling. The IRA tweets used polarising language and linked vaccination to controversial statements about race, class and government legitimacy, the researchers said. One tweet casting doubt on vaccines that was cited in the study read: "Did you know there was secret government database of #Vaccine-damaged child? #VaccinateUS". Another that argued for vaccinations said: "#VaccinateUS You can't fix stupidity. Let them die from measles, and I'm for #vaccination!" Meanwhile less sophisticated "content polluters" - bot accounts that distribute malware, unsolicited commercial content and disruptive materials - shared anti-vaccination messages much more frequently than average Twitter users, using them as "bait" to get people to click on links to malicious websites. Social media companies are struggling to find ways to combat disinformation on their platforms. Earlier this week Facebook and Twitter said they had suspended or removed accounts linked to Iran and Russia over "inauthentic" or "manipulating" behaviour. In July Twitter was reported to have shut down up to 70m fake and suspicious accounts. Despite science overwhelmingly and indisputably advocating in favour of immunisation, a growing number of parents around the world are resisting medical advice by going their own way. Some base their decision on discredited research 20 years ago that erroneously linked the measles, mumps and rubella vaccine (MMR) to autism. But health officials say the number of people getting the disease measles is rising because of a fall in vaccinations. In Europe more than 41,000 people were infected with measles in the first six months of 2018 - nearly double the number of cases for the whole of last year - leading to 37 deaths. 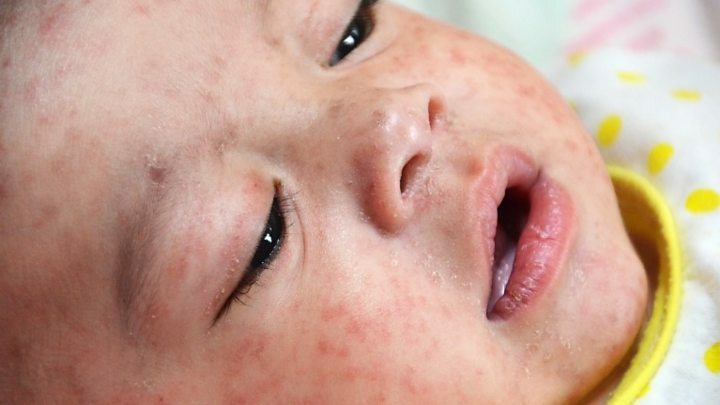 High rates of measles were seen in Serbia, Ukraine, Georgia and Greece. In the US the number of children being exempted from vaccines is also rising. In Italy, the upper house of parliament has voted through legislation to abolish the law that makes vaccination mandatory for children before they start school. The amendment will mean parents of unvaccinated children will no longer face fines.